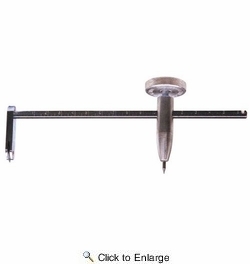 The original Wallboard Circle Cutter allows the user to cut from a 2" to 16" precision hole in drywall. Features hardened cutting blades that quickly and easily cut sharp, clean, round holes in drywall. The adjustable screw knob ensures precise circles every time, up to 16 in. diameter.